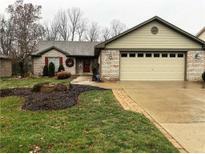 Below you can view all the homes for sale in the Avon Creek Estates subdivision located in Indianapolis Indiana. Listings in Avon Creek Estates are updated daily from data we receive from the Indianapolis multiple listing service. To learn more about any of these homes or to receive custom notifications when a new property is listed for sale in Avon Creek Estates, give us a call at 317-653-6763. You do not want to miss this one! MLS#21630313. RE/MAX Centerstone. Citizens Gas Bill:Gas Water and Sewer all on one bill Heating is Gas, Cooktop is Gas, Water Heater for Master Bedroom, ½ bath and Laundry Room is GAS IPS Bill : Electric Oven and WATER HEATER for kitchen and bath for two bedrooms is electric Notice two water heaters MLS#21629365. Shine Realty, LLC. Besides a complete remodel of kitchen and master, some of the other upgrades include hardwood, scraped hickory floors, painted woodwork, fixtures, laundry/bathroom, Pella doors and windows, paved back deck, HVAC system, roof, hot water heater, fully wheelchair accessible, custom landscaping and much more. 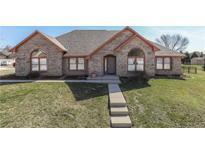 MLS#21611293. CENTURY 21 Scheetz.